Way back in September Molly-May and me went on our first girls only trip to Germany for a long weekend to celebrate the Wedding of my dearest Cousin Nicola! 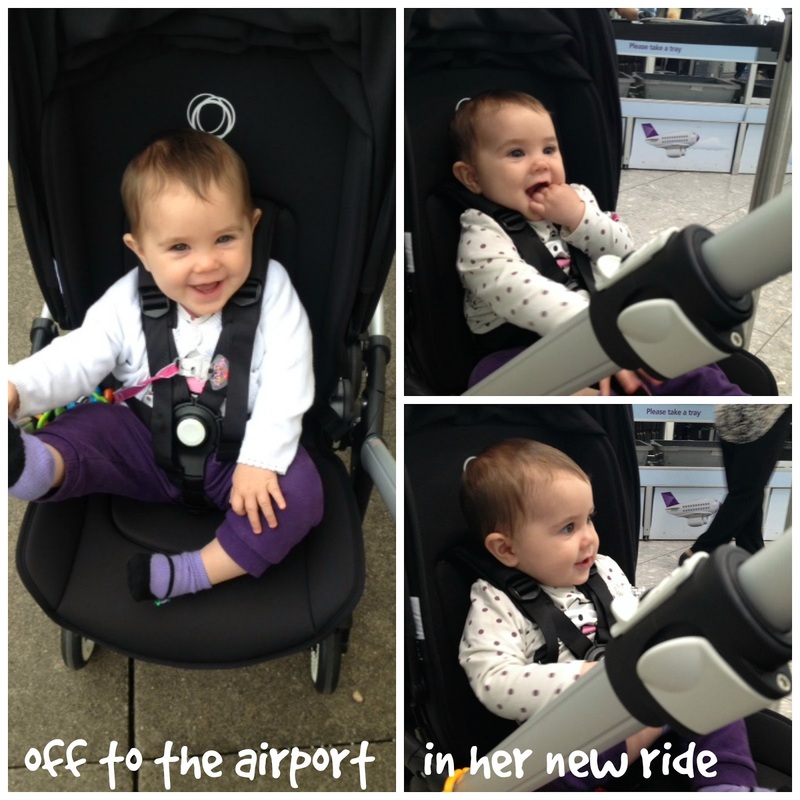 When I attended the Bugaboo Bee3 Launch at the OXO Towers in August I happen to mention that I am flying to Germany soon so the lovely Bugaboo team was more the happy to loan me out their newest model for me to test drive. The Bugaboo Bee3 is compact, nimble and highly manoeuvrable: perfect for busy urban families. This compact and nimble Bugaboo Bee3 is suitable from birth and features a comfortable reversible seat unit that can also be extended. Baby can either face rearward to interact with Mum or Dad, or travel in a forward facing position to view the world around them. 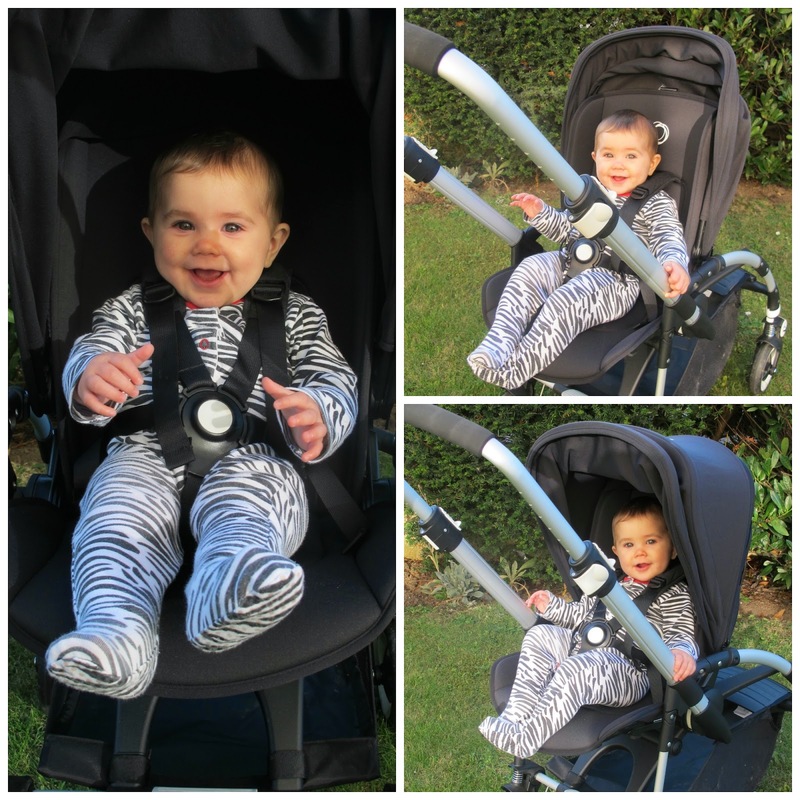 Bugaboo Bee3 is adaptable and flexible to adjust with your little one taking them from newborn to toddler. The Bugaboo Bee version 3 is also travel system compatible with the addition of an infant car seat and adaptors (both available separately). For an extra-comfy ride, you can also purchase the Bugaboo Bee3 bassinet separately, which easily clicks onto the Bee’s chassis. Bugaboo now offers a 3 year manufacturer’s warranty on all pushchairs registered online. To receive this additional year of warranty customers must register their product with Bugaboo online within 3 months after purchase (www.bugaboo.com/extra-warranty). The new Bee3 is a great new upgraded version of the Bee+ i love the new sturdiness i always thought the Bee+ was just that little bit too lightweight when i pushed it and i was a little bit vary of it. The harness is a no thread harness which is just brilliant and lets you take your child out in seconds instead of fiddling around with your children’s arms before they are released. Its one of my favourite features because it lets you adjust the harness very easy on the shoulders! 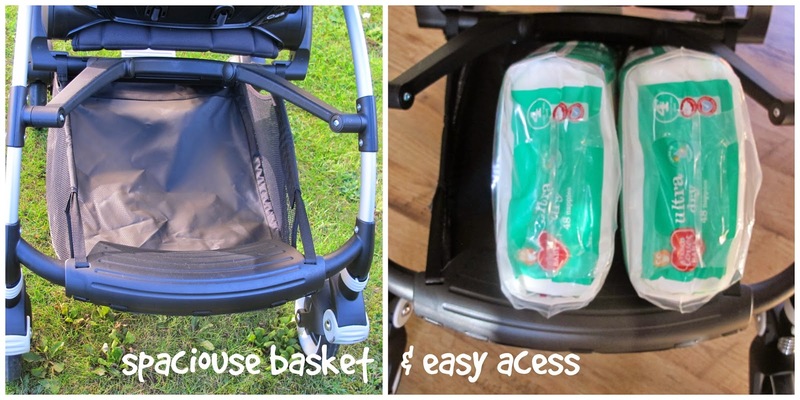 It has a very generous basket which is even larger then on the bee+ model here is a picture to show you just how large it is next to the 2 bags of nappies was still plenty of space for other things. It holds 22 litres which sounds rather a lot! I was gutted that Molly-May with her 6 month was too small (and way too nosey) to try out the hard bottom carrycot which goes onto the bee3 with adaptors and it can now hold a car seat too which makes it a versatile and compact travel system! I am still not too sure about the hood it has a more stretchy feel to it then the older bee hood designs which where made out of canvas. I think i didn’t have the pushchair long enough to see how it would last in time but it did cope very well with Molly-May pulling it down and trying to get her hands through the fabric for the long weekend we used it. 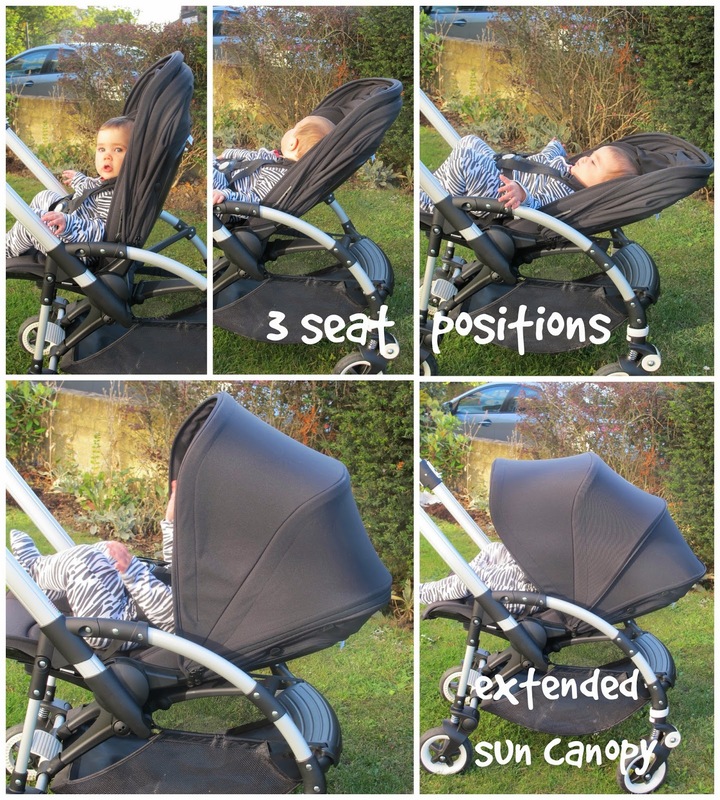 The bee3 has got 3 seat positions and you can fold it with the seat attached from both directions. The seat can be extended to grow with your child which i think its a big plus. what he is doing! So its certainly Babysitter/Grandparents friendly!! I haven’t really used the Rain cover so i cant comment on that but i have used my snooze shade because Molly-May has been napping ALOT over the whole weekend and believe me it wasn’t just the lovely countryside which put her to sleep she must have felt rather cosy and comfy in her holiday buggy because she normally never sleeps in any of her pushchairs! Onto the colours as always bugaboo has created a pure colour delight when it comes to designing your very own bee3 you can choose from 2 different colour chassis which is Aluminium or Black, 4 different seat fabric options which come in: Red, Black, Grey Melange (my favourite!!) or Dark Khaki and then there is of course the sun canopy options which vary from: Off White, Dark Khaki, Red, Soft Pink, Ice Blue, Black, Bright Yellow or Grey Melange. And lastly we have the carrycot colours which are: Red, Black, Grey Melange or Dark Khaki. That’s over 64 different colour combinations to choose from! We are giving the Bugaboo Bee3 9 out of 10 stars. 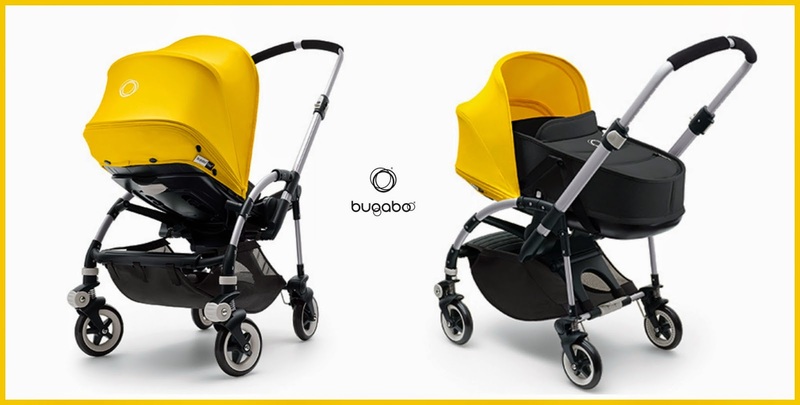 If you want to check out some more about the Bugaboo Bee3 and all the other lovely rides head over to their website or give them a visit on their Facebook and Twitter Page. Disclaimer: I have been loaned the Bugaboo Bee3 over a long weekend for reviewing purposes, but all thoughts and opinions are mine. Wow this looks great, I really like the fact that there is some space in the basket, most of them are too small! Would you believe I've never pushed a Bee full stop. Always interesting to read about different prams. Sounds like a strong product update! I've been using my Bee+ for 3.5 years and I love it but there are definitely some niggles with it that are ironed out with the Bee3. Those straps sound brilliant for wrestling with a toddler!